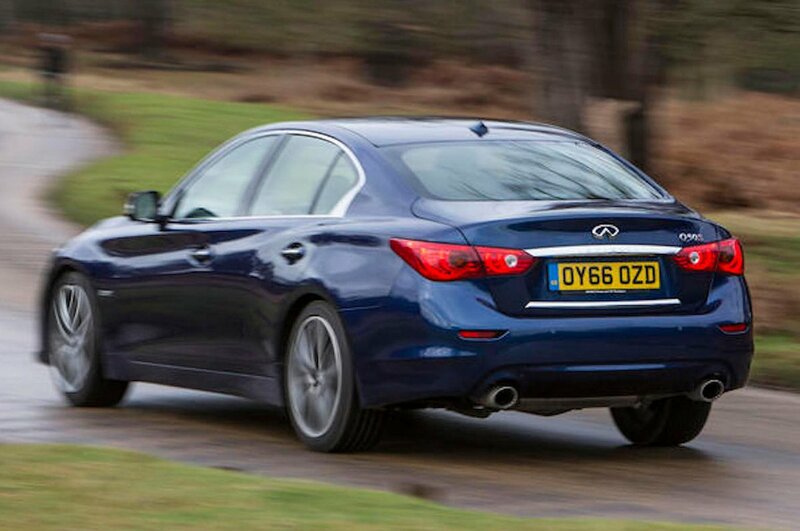 Infiniti Q50 Running Costs, MPG, Economy, Reliability, Safety | What Car? 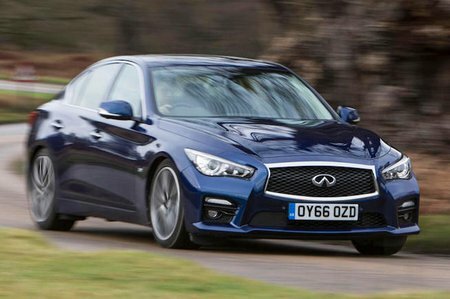 The diesel Q50 falls short of its most efficient rivals in terms of CO2 emissions, so it’s more expensive as a company car. It has comparatively high contract hire rates, too. Poor resale values and high servicing costs mean it’ll cost many thousands of pounds more than most rivals over three years as a private buy. Considering the performance it offers, the hybrid is well priced as a company or private buy, but non-hybrid rivals are better to drive, and cheaper to buy and run. In addition, both petrol-engined models are also less efficient than the majority of competitors, and insurance and tax will be comparatively high for the turbocharged cars. The materials on the dashboard and seats feel relatively classy, and build quality is tough to fault. Only a few aspects, such as the cheap-feeling door handles, let the side down. Although Infiniti does not yet feature in UK reliability surveys, it has a good reputation in America, so the car promises to last well. The entry-level SE model gets a good level of standard equipment, including dual-zone climate control, automatic lights and wipers, cruise control and 17in alloy wheels. 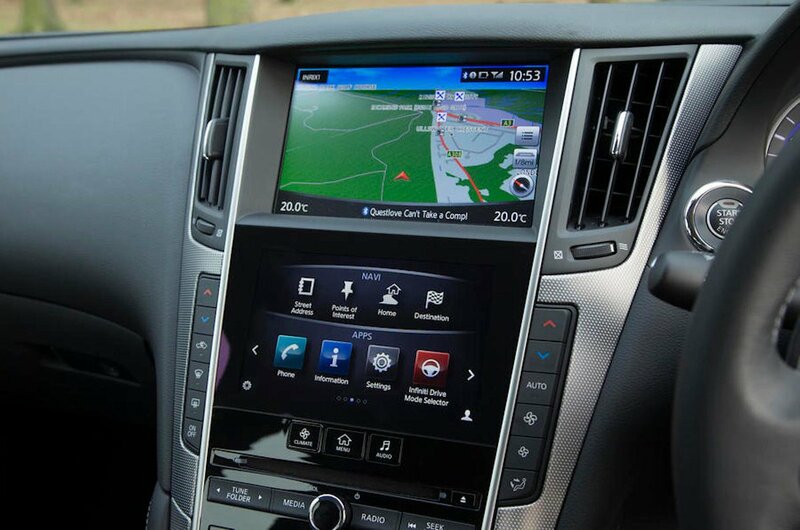 It’s a shame that a digital radio and sat-nav are expensive optional extras on all Q50s, though (unless you opt for a ‘Tech’ Edition). Premium trim is also decent value, and adds heated leather seats and an auto-dimming rear-view mirror. The hybrid and 3.0t come with sports suspension, larger wheels, sports seats and LED headlights. All Q50s come with emergency brake assist, six airbags and an alarm. You have to go for the expensive optional Safety Shield pack to get the most desirable equipment, though. This includes lane-departure and blind spot warning systems, high-speed emergency braking and a system that helps prevent collisions when reversing, say out of a driveway. The Q50 got the maximum five stars in its Euro NCAP crash test, although it falls a little short of the adult occupant scores of many rivals.